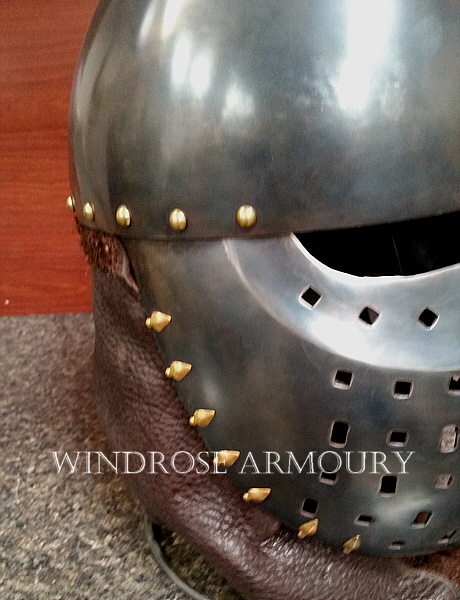 Full Face Phrygian Helmet, Blackened Stainless, Medium [H-425] - $1,150.00 : Windrose Armoury, We Bring History To Life! 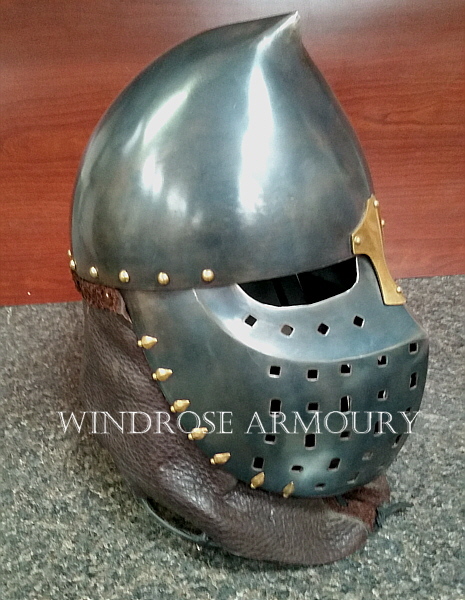 Our stylized version of full face helmets worn in the Middle East around the time of the Crusades, this helmet is constructed of 14 gauge Stainless Steel, chemically blackened, and treated to brass decoration and a full leather drape. 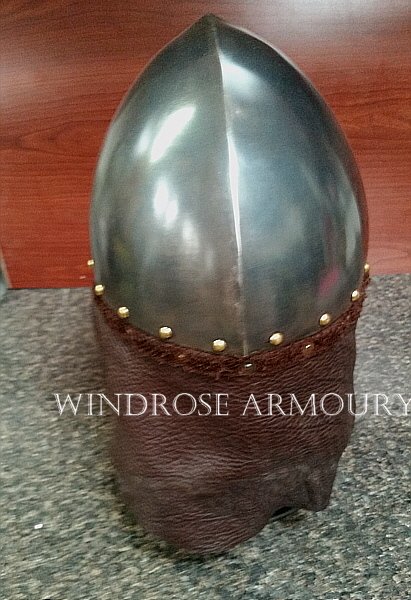 A beautiful way to finish an Outremer kit for the SCA field. Sized to fit 23 1/2 inch head circumference.